Ravelle was admitted to the Georgia Bar in 2002, and has been practicing exclusively in the area of litigation since that time. 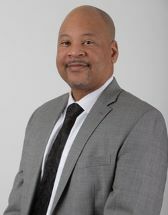 Following his admission to the bar, Ravelle expanded his experience to encompass many areas of litigation, including divorces, child support modifications, adoptions, custody changes, domestic violence, breach of contracts. Since 2005, Ravelle has concentrated his practice exclusively in the area of family law, helping individuals persevere through often the most trying times in their lives. Clients can rest assured that Ravelle has the necessary skills, experience, and passion to assist in the resolution of their matter whether by amicable settlement or trial. He has tried contested matters in front of both a judge and jury in various areas of the law, including divorces, child custody, child support, alimony, equitable division of property, simple battery, simple assault, DUI, and felony matters. Ravelle has made appearances in Georgia's Superior, State, Magistrate, Juvenile, Court of Appeals, and Supreme Court. Ravelle prides himself in the success he has had in handling the most complex of cases during his career. He is dedicated to providing his expertise so that even the most litigious matters can be handled efficiently, professionally and compassionately. When Ravelle isn't advocating on behalf of his clients, he can often be found on the sidelines of the nearest gymnasium coaching youth basketball, impacting Georgia's children even in his time off. Ravelle, his wife, and two children reside near Marietta, Georgia where they are mainstays in their community.